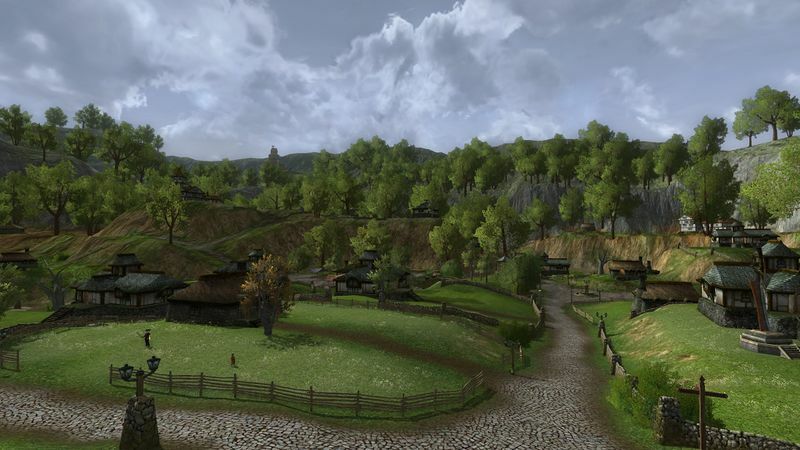 Bree-land Homesteads is an area within Bree-land in the south-eastern region. The Bree-land Homesteads contain player housing in the rustic timber and stone style of the Race of Man. 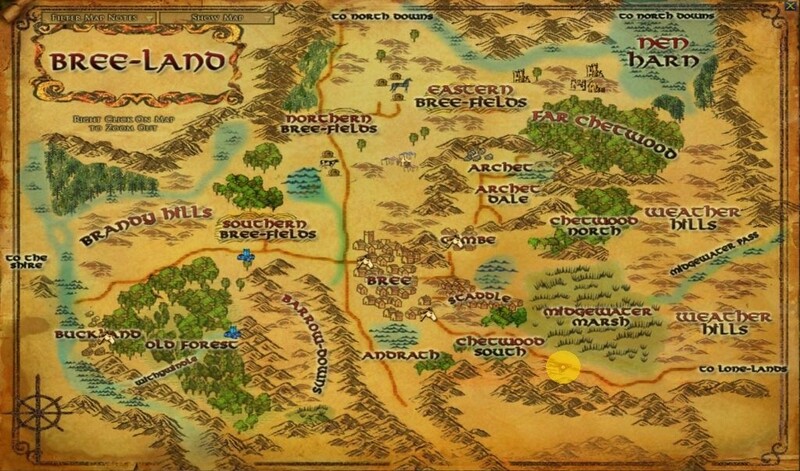 The homesteads are located in the southern part of Bree-land south of the Great East Road to the Lone-lands. At a fork in the road south of the Midgewater Marshes Nan Henwood stands near to the homesteads' entrance. In order to complete the quest Building the Bree Homestead players must talk to Nan Henwood. Then Bill Twiggins, inside Bree-land Homesteads, will complete the quest There's No Place Like Home. For the musician lovers a trio named Bree Emeralds Musicians are found a distance south along the Long Street, at a wooden platform. A competing trio named Red Dragon Musicians is found just north of the Homesteads Provisions building. Some kind of rivalry is apparent.